Apologies for this blog’s inadvertent hiatus. I actually have an awful lot of things in the hopper, and once classes start I’ll be posting more frequently, with regard to what we’re reading. I’ve got a Breaking Bad post in the works, as well as the long-promised follow-ups to my initial post on fantasy and cruelty. What can I say? It’s summer. But for today, it’s all about everyone’s favourite SF homophobe, Orson Scott Card. 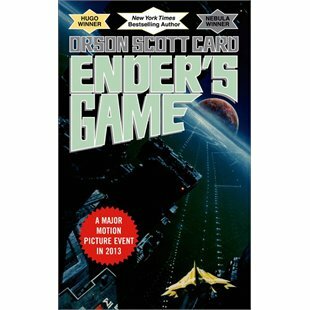 This past winter I taught Orson Scott Card’s novel Ender’s Game for the first time in my science fiction class (which I was also teaching for the first time). I put it on the course list without thinking, by which I mean its inclusion was something of a no-brainer for me. I’d first read the novel about twelve years before and reread it several times since, and I looked forward to the chance to discuss it in a classroom setting. I knew, vaguely, that Orson Scott Card (OSC from here on in) was something of a religious conservative, but as there was no suggestion of that in the novel it never bothered me. The true scope of OSC’s political and religious conservatism came glaringly to light after I’d put in my book orders for the term, when a number of articles he’d written advocating, among other things, armed revolt against the “gay agenda” and for the recriminalization of homosexuality, received a storm of publicity. Between the buzz about the film adaptation of Ender’s Game in progress and the series of court decisions in favor of gay marriage, OSC’s anti-gay opinions became impossible to ignore, as did his political crusading. It raised an interesting but fraught problem, one which we addressed at length in class: how do we approach a novel that, in itself, has a great deal of merit, when its author not only holds opinions we find vile and reprehensible, but actively uses his not-inconsiderable wealth and fame to try and marginalize and disenfranchise a certain segment of the population? The opinions themselves are not so much the issue—if we eliminated from our reading and viewing all the work of artists we thought were assholes, we wouldn’t be left with much. But the inescapable fact about OSC is that purchasing his books contributes to his bottom line, both rewarding him financially and augmenting his influence. There has been a great deal of discussion and argument about this question online—Alyssa Rosenberg, as usual, has some excellent thoughts here and here—with some people advocating for a boycott of the film of Ender’s Game. Though I’ve gone back and forth on the question, I know I will myself go see the film. I’m reluctant to put money in OSC’s pocket, but the past few months have convinced me that all of the publicity isn’t actually doing OSC any favours. Gay marriage, as the expression goes, is an idea whose time has come—and OSC’s very vocal opposition has raised his profile in a way that is starting to impact him negatively. While SF and fantasy fandom is hardly a hotbed of pro-gay activism, it does possess a significant and vocal constituency in that respect, which managed to scuttle a Superman story arc that DC Comics had hired him to write. And Summit Entertainment is being very conspicuous in keeping OSC inconspicuous in the lead-up to the release of Ender’s Game, leaving him off the publicity slate. He has actually become quite toxic, a fact he can’t be unaware of, especially in light of the current popular disgust with Russia’s anti-gay laws and the IOC’s timidity. It makes me wonder how an unreconstructed American religious conservative feels, knowing he’s making common cause with Vladimir Putin? One of the arguments for boycotting Ender’s Game, besides the fact that it will enrich a bigot, is that if the film is a great success, it will validate OSC. I’m far more sympathetic to the first position; far from validating OSC and his opinions, the potential popularity of Ender’s Game will, I suspect, create a cognitive dissonance between that story’s basic humanity and its author’s hateful politics. I say this with a certain amount of confidence, as I know that already happens with the novel—in my SF class, many of my students expressed shock that the person who created Ender Wiggin and craft such a compelling story could also be so paranoid and irrational. There is always the possibility that some people are or will be so taken with Ender’s Game that they’ll give his anti-gay rants (and his particular species of paranoid batshit generally—see below) some credence. But I have hope that OSC’s raised profile, coupled with an idea whose time has come, will do him and his opinions more harm than good. Except not really. “No, no,” he protests in his next sentence, “it’s just a silly thought experiment! I’m not serious about this! Nobody can predict the future! It’s just a game. The game of Unlikely Events.” What follows is a lengthy prevarication about the differences between fiction and history. Fiction, he says, depends on plausibility, and the task of the fiction writer is to make a causal series of events not just likely but inevitable. Historians, conversely, require evidence, and the reason prognostication almost invariably ends up being wrong is because history does not have fiction’s convenient form of causation. Historical lies have great persistence. There are still people who think that Winston Churchill “failed” at Gallipoli; who believe that Richard III murdered his nephews, though the only person with a motive to kill them was Henry Tudor; who believe that George W. Bush lied about WMDs in Iraq. Oh … where to begin? Right here OSC demonstrates, inadvertently, that the distinction he wants to make between history and fiction is far more nebulous than he allows. Gallipoli was an unmitigated disaster, and it was Churchill’s brainchild. I have yet to read anything claiming that the operation was actually a success, but I’m sure such arguments are out there; and while a lot has been done to recuperate the reputation of Richard III, the question of whether he murdered his nephews is far from settled—it is, indeed, the object of much debate still. (Ironically for OSC’s blithe assertion, the single most influential argument for RIII’s innocence was a novel—the wonderful Daughter of Time by Josephine Tey). In both of these cases, the “lies” OSC cites have been, and continue to be, matters of debate and discussion. And the less said about the WMD claim, the better. Moving on. Yet this doesn’t mean prediction is useless or meaningless. There were plenty of people who foretold the disaster that Hitler would bring to the world if he came to power in Germany, and those predictions were exactly fulfilled … The only reason people were taken by surprise was that they simply refused to believe (a) what Hitler himself said he would do, and (b) the previous related examples from history. Hmm. Interesting example to use. Never mind the fact that Obama’s most vociferous opponents love comparing him to Hitler—what I want lock in here is the idea of people doing what they promise to do. I wish Obama had done what he promised in the 2008 campaign—or, well, more of it. But he hasn’t. And there is a huge, delusional wing of the American right—including our friend OSC—who want to find him guilty of a host of things he hasn’t done, and never promised to do. But keep the thought of promises and avowed intentions in mind, because I’ll be coming back to it. For now, I just want to laugh with the mirth of the damned at OSC’s dystopian scenario. To quote The Princess Bride, let me explain … no, there is too much—let me sum up. Basically, Michelle Obama will be the president after Barack, and he will continue to reign through her. Michelle Obama is going to be Barack’s Lurleen Wallace. Remember how George Wallace got around Alabama’s ban on governors serving two terms in a row? He ran his wife for the office. Everyone knew Wallace would actually be pulling the strings, even though they denied it. Of course, this is an unlikely scenario—even with the willing and slavish assistance of the mainstream media, which OSC maintains have always been in Obama’s camp—so Obama will need assistance in seeing his dictatorial vision through. As OSC admits, unlikely. But plausible! Plausible, if you buy the canard that the mainstream media is entirely in the pocket of the Obama Administration, and that their unthinking acquiescence to his every whim translates into similar acquiescence on the part of every member of the Democratic Party (including, presumably, Hilary Clinton—but OSC seems to think that Obama completely destroyed her chances by hanging her out to dry on Benghazi). Of course, this nefarious plan runs up against the fact that there are many right-thinking Americans like OSC. However will Obama overcome their opposition? In other words, Obama will put a thin veneer of training and military structure on urban gangs, and send them out to channel their violence against Obama’s enemies. Instead of doing drive-by shootings in their own neighborhoods, these young thugs will do beatings and murders of people “trying to escape”—people who all seem to be leaders and members of groups that oppose Obama. Already the thugs who serve the far left agenda of Obama’s team do systematic character assassination as a means of intimidating their opponents into silence. But physical beatings and “legal” disappearances will be even more effective—as Hitler and Putin and many other dictators have demonstrated over and over. And thus does the Republic die. I read these lines over and get weary at the thought of pointing out the basic flaws in OSC’s scenario, so fortunately I can just like to Dave Weigel’s succinct and searing demolition of it in Slate. I’m less interested here in how absurd it all is than with just how disingenuous OSC is in setting it up. He titles the post “Unlikely Events,” and is careful to point out the fact that prognostication is almost always wrong. BUT … as a fiction writer, etc. etc., and as a student of history—again, etc. etc.—he is peculiarly situated to offer a plausible scenario. Or to put it more succinctly: this will never happen, except that it totally will. I wouldn’t have thought twice about this piece of paranoid scribbling had it not been for the fact that I’d recently read the new novel Christian Nation by Frederic Rich. The premise is alternative history, positing what might have happened if John McCain had won the 2008 election and, mere months into his presidency, died of an aneurism. Under President Palin (shudder), the United States finds itself on the road to Christian theocracy, culminating in civil war in 2020 and a totalitarian evangelical government. 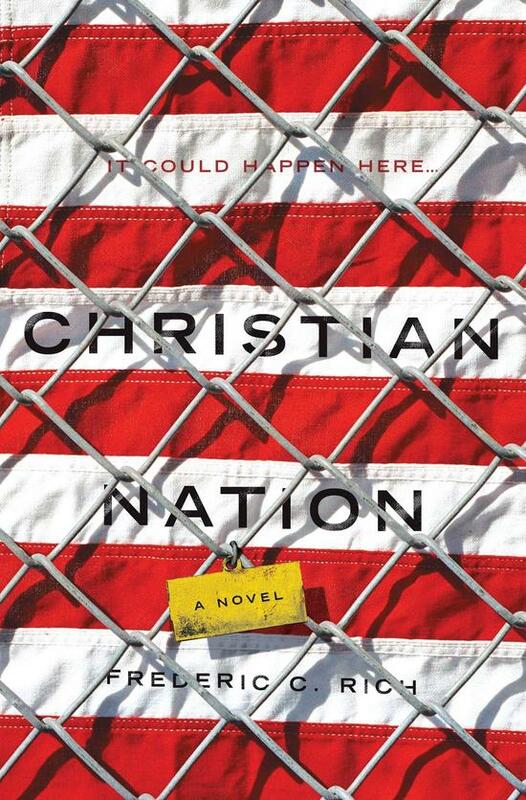 As a novel, Christian Nation is a miserable failure—principally because it is poorly written, with one-dimensional characters, and a hackneyed and shaky narrative. The premise is intriguing, but requires too much exposition: Rich gives us as one of his principal characters a preternaturally serene and intelligent gay Indian man named Sanjay, who plays the Cassandra role in the years leading up to and immediately following the rise of Sarah Palin to the presidency (again: shudder). I have to assume that the vast majority of people who read this novel, like me, will do so because of the premise and because they bear great antipathy to militant evangelicals. But I promise you that, however much you agree with Sanjay and however much he warnings alarm you, you will be so pissed off with him … because for the first third of the novel, everything he says starts with “But did you know …” and proceeds to enumerate yet another little-known fact about Christian fundamentalist political ambition. At the same time, as annoying as he gets, Sanjay’s screeds are why you should read the novel. Rich has done his research: the best thing I can say about Christian Nation is that it doesn’t unfold as a liberal fabulation about how we fear evangelical theocracy might happen so much as a point-by-point explication of what they want to do. Sanjay’s irritating conversational tic is the author’s way (clumsily) of communicating the fact that nothing he depicts after Palin’s ascendancy (third time: shudder) is actually out of step with what numerous Christianists from the 1960s onward have called for in books or from the pulpit. Which brings us back to the OSC statement I highlighted, about how people were only surprised by Hitler because they hadn’t expected him to actually do the things he promised he’d do. This distinction is important, for it emphasizes (ironically) everything wrong with OSC’s post and everything right about Rich’s novel. I confess, when I read Christian Nation, I kept thinking “this is like Left Behind, just for liberals” (and, I’m sad to say, not much better written). The frustrating thing about Christian Nation, in hindsight, is that it would have worked much better as non-fiction … or as a two-part endeavour, which outlined the background of evangelical political desires, and then proceeded to say “let’s imagine …” At least that way, we could have avoided the inane characters and Sanjay’s irritating conversational gambits. Obama called for a “national police force” in 2008, though he never gave a clue about why such a thing would be necessary. We have the National Guard. We have the armed forces. The FBI. The Secret Service. And all the local and state police forces. The trouble is that all of these groups have long independent histories and none of them is reliably under Barack Obama’s personal control. He needs Brown Shirts—thugs who will do his bidding without any reference to law. This is a revealing bit of craziness, and one you occasionally hear from members of Congress. Obama never called for a “national police force.” In a July 2008 speech he used the words “civilian national security force” to describe how he’d “expand AmeriCorps to 250,000 slots,” “double the size of the Peace Corps,” and “grow our foreign service.” That was five years ago, and he actually failed to do it. Not to be a snob about it, but anyone looking logically at the Obama record from then to now might notice that he hasn’t actually created a civilian strike force answerable only to him. (How its budget would exist outside of congressional appropriations I do not know). You know what? Now that I get to the end of this discussion of OSC’s batshit wingnuttery, I’m seriously rethinking paying ten bucks to see Ender’s Game.